A selection of Wimbledon Art created as a collaboration between us and Susan Taylor. These pop art inspired designs are exclusive to us here at Room Remedies and the tea towel is part of a range including coasters, placemats and cards. 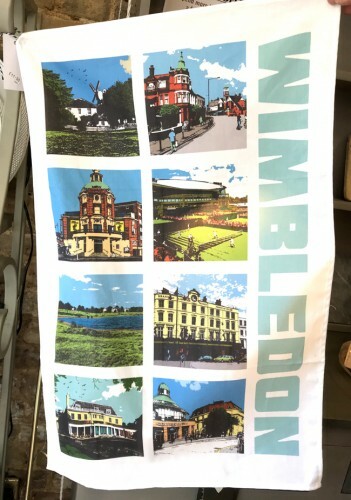 The tea towel has eight iconic Wimbledon images printed on it. It measures 74cm x 47cm.